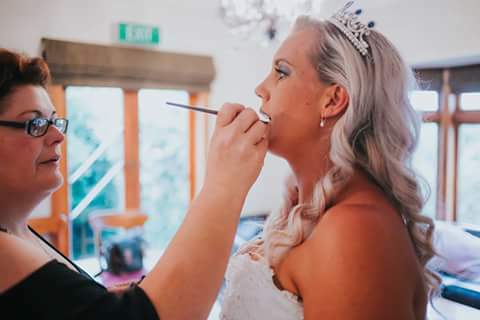 Voluptuous Devine take’s great pride in making you look at your best for any special occasion, so if you have an event coming up speak to us to see how we can help. All your beauty needs brought to where ever you choose to get ready on that special day. We are so passionate about what we do that we are happy to offer the bridal party and immediate family special discounts with group bookings… and it doesn’t stop just there! We offer middle wedding touch-ups, during your photos and before your reception. We also offer to dress the bride, this takes out the stress of getting that dress laced up, Kylie-Ann’s experience allow’s this to be an easy process. Let’s face it, less stress equals a Happy Bride! Our aim is to assist the bridal party to make things as stress-free as possible so that you enjoy your special day and cherish those memories for a lifetime.